Drug offenses in Lawrence can come about in a number of different ways. Police officers in Lawrence do many controlled buys and are very vigilant for activities they think are indicative of a drug transaction. A drug transaction charge, possession or possession with intent to distribute, can come about as a result of a motor vehicle stop where police think that there is a hand to hand transaction taking place. Many of these arrests, whether for drug possession or distribution, can be challenged as the seizure, search of the car, and exit orders are potentially unlawful. There are a number of legal and constitutional issues involved in a drug crime. Drug charges in Massachusetts carry strict penalties and often carry a stigma that lasts long after the initial arrest. Whether you’re facing a minor drug charge or something more serious, you can trust that a DelSignore Law attorney will be by your side every step of the way. DelSignore Law attorneys have experience defending those charged with drug crimes, and can evaluate your case today. There are a number of issues of contention with drug crimes, and we can go over your case with you today. Before you make any further decisions about your case, read on to learn more about drug crimes and how we can be of assistance to you. 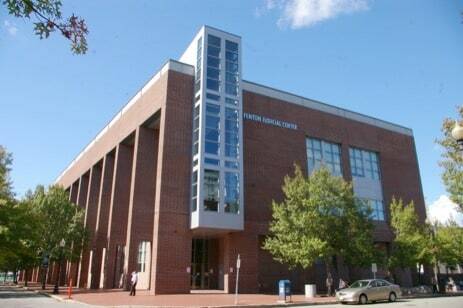 The Lawrence District Court is located at the Fenton Judicial Center, 2 Appleton Street, in Lawrence, MA 01840. This court hears arrests from Lawrence, Andover, North Andover, and Methuen. There are two paid parking lots at the court house, as well as a paid parking garage adjacent to the building. All of your court dates will be heard in this location. Often times, people are stopped and charged with a drug crime as a result of a confidential informant. The defendant then can challenge the stop. This is true, also, if there was a search of your house where the police uncover drugs. Police officers frequently conduct house searches based solely on information provided by a confidential informant. Additionally, if you were stopped in your motor vehicle and the police officer smells marijuana, this does not always mean that the police has the legal basis to order you out of your vehicle. This is another common issue I find in drug cases, and we will make sure to challenge this in court. Any and all criminal charges can have a negative impact on your future, but there are some crimes to be more concerned with such as possession with intent to distribute. You will likely face harsh penalties if convicted, in Massachusetts, with possession with intent to distribute. The penalties differ in regards to what drug was found on your person. As stated before, Massachusetts law breaks up a possession with intent to distribute charge into a few different categories. This contributes to the range in penalties if you are found guilty of this crime. At DelSignore Law, we are more than happy to review your case and explain to you Massachusetts Law surrounding these types of crime. Because there are a number of differences dependent upon the specific crime you are charged with, it is important you contact a DelSignore Law attorney today not only for clarity, but for peace of mind as well. You can learn more about drug crimes and the defenses available to drug crimes on our website today.